Succulent cuttings are wonderfully easy to work with for temporary arrangements, but they are also simple to re-grow into rooted, long-lasting plants. The process of rooting succulents is a fun and easy way to economically multiply your succulent collection or re-use decorative cuttings after an event. Even with proper diligence, some cuttings may not take root, but following this guide will greatly increase the chance of success. You can grow cuttings in a temporary pot while they establish roots or plant them directly in a permanent container. Either way, you’ll want a pot that has a drainage hole and is large enough to leave 2"-3" of space around each cutting. Fill the container with a gritty, well-draining soil to protect your succulents from standing water and root rot. Most garden centers sell a cactus/succulent potting soil, or you can make your own by mixing 3 parts potting soil, 2 parts coarse, salt-free sand, and 1 part perlite or pumice. Plant the cut end of a stem 1"-2" into the soil. 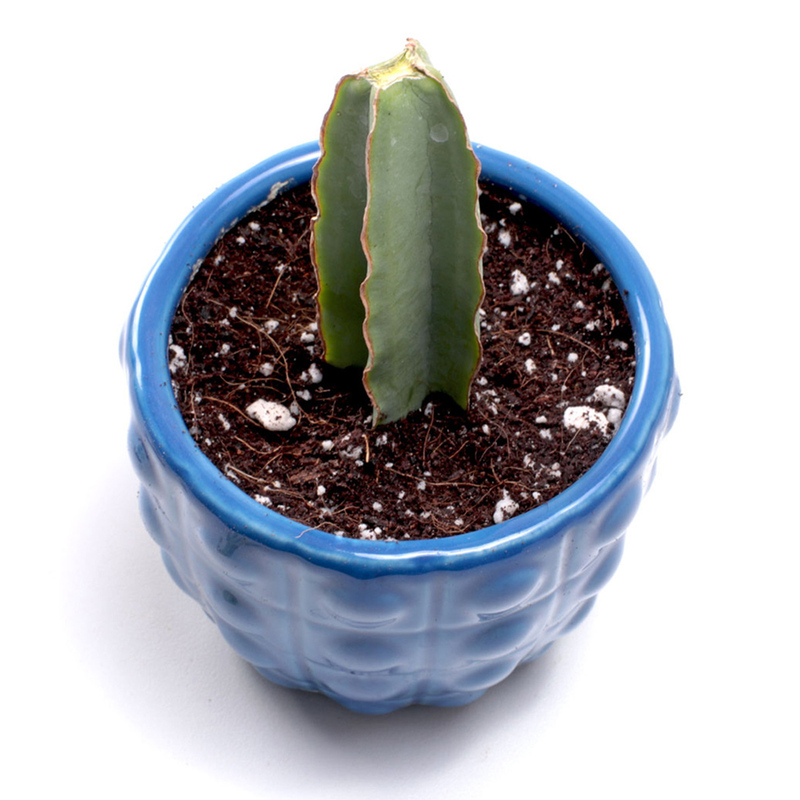 If the succulent has leaves, you may need to remove them from the bottom section of stem to plant it deep enough. The lowest leaves should sit just above the soil without touching it. Compress the soil enough to get the cutting to stand upright. For soft succulents, remove any leaves necessary to expose 1"-2" of stem for planting. Sempervivum and Echeveria rosettes are an exception, and should simply be placed as-is on top of the soil. There is no need to remove leaves from rosettes. Pick a location for your young succulents that gets bright, indirect light (not full sun) and plenty of airflow. Cuttings need sunlight to grow new roots, but they will dry out too quickly in direct sun. Good airflow helps prevent infestations of mealy bugs and gnats on indoor succulents. Unlike mature, rooted succulents, cuttings will need regular moisture until they can grow roots and support themselves. Water frequently enough to keep the soil from drying out, but not so often that you see standing water. Depending on temperature and humidity, actual frequency is usually 2-4 times per week. After 2-4 weeks, a very gentle pull will tell you if a cutting has rooted. To care for rooted succulents, transition to deeper, less frequent watering. Only water once the soil has fully dried, about 1-2 times per week. Re-pot, if desired, and gradually move the succulent to its preferred light conditions over the course of 1-2 weeks to give it time to adapt. 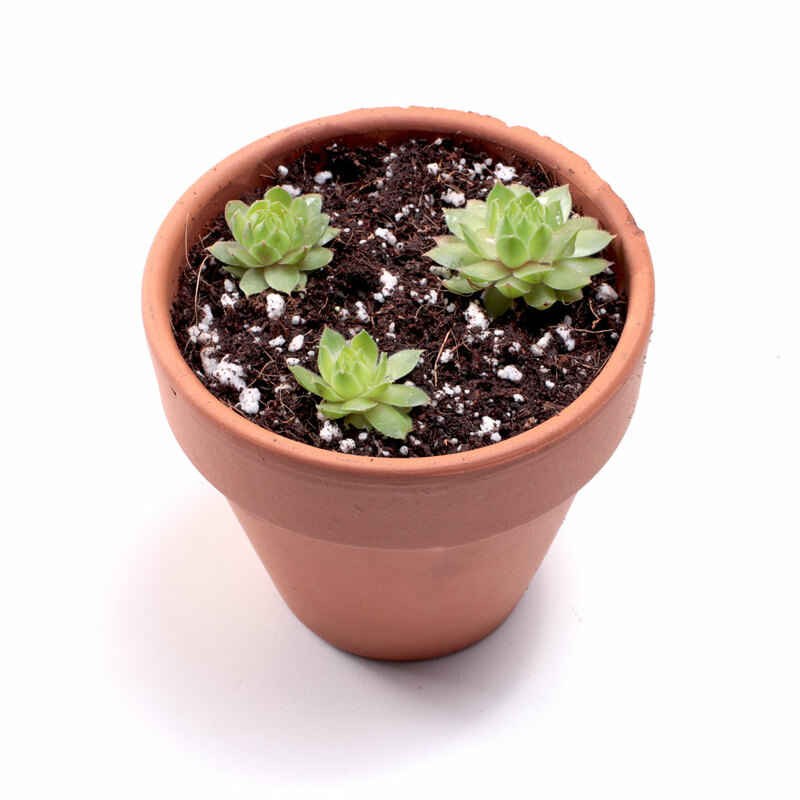 Continue caring for your succulent and watch for above-ground growth in the following months. What about propagating leaf cuttings? Though usually more challenging, some soft succulents can also be propagated with just their leaves. Thick, healthy leaves removed from the stem cutting can sometimes be planted and re-grown, but thin-leaved varieties are less likely to root. Let the leaves dry indoors or in the shade for 4-7 days so that the cut is callused and less likely to rot. When a thick callus forms, use the same soil mix as the stem cuttings and plant the leaves upright, cut side down with 2"-3" spacing. Use the same watering guidelines and look for new buds in the next month or two. Can I plant cuttings outdoors? Getting cuttings to root outdoors is challenging because environmental conditions are more variable. If you live in the right hardiness zone for the succulent, you can try planting a cutting during the growing season in a location that receives bright shade all day. Follow the guidelines above and pay extra attention to moisture levels, but be aware that some cuttings might not survive. Fertilizer is not necessary, and too much can burn young or unrooted succulents. However, mature, rooted succulents can tolerate an application of balanced, slow-release fertilizer in the spring growing season to encourage growth. Should I apply a rooting hormone? These substance stimulate root development in many plants, but succulents have a high concentration of meristem cells that can turn into root tissue without supplemental hormones.